“Google Reader Play” is the new Web browsing feature launched by Google on Wednesday which allows users to browse and explore the content in Google reader like a TV rather than the hierarchical tree view. 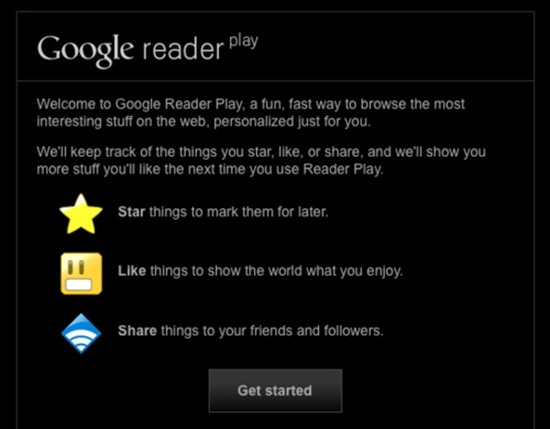 In Google Reader Play, items are presented one at a time, and each item is big and full-screen. After you’ve read an item, just click the next arrow to move to the next one, or click any item on the filmstrip below to fast-forward. 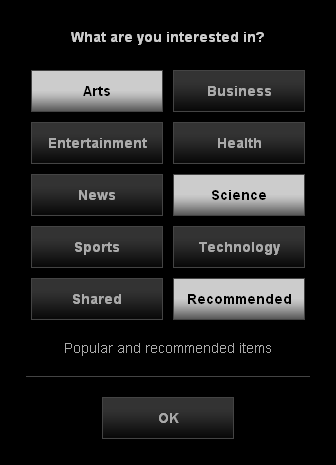 It is cool feature. I am yet to explore.